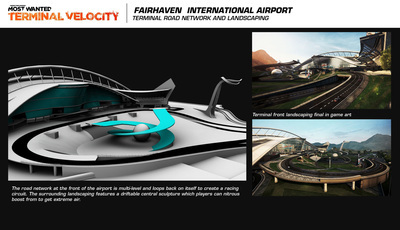 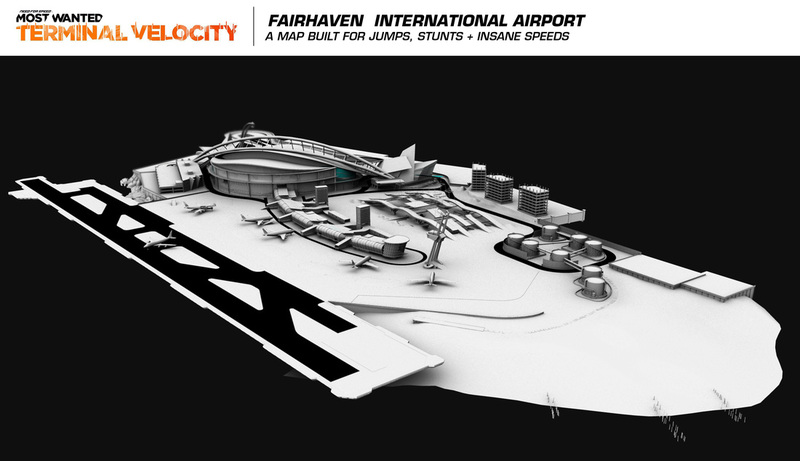 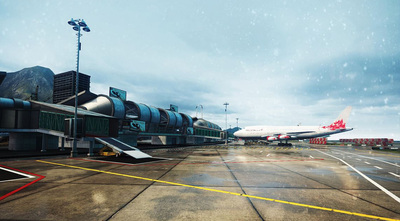 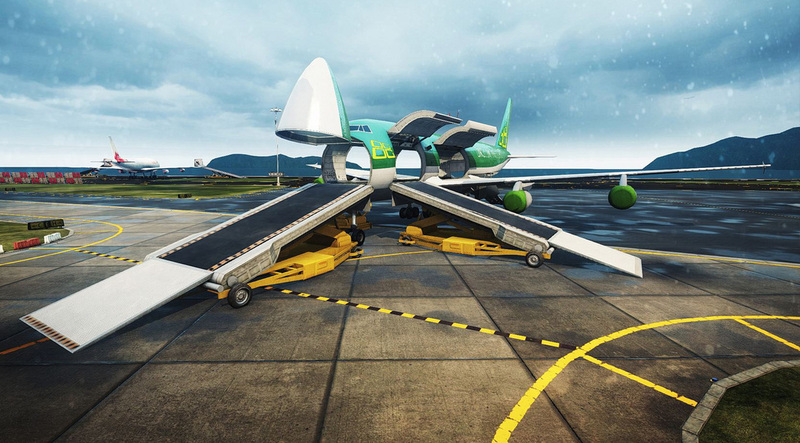 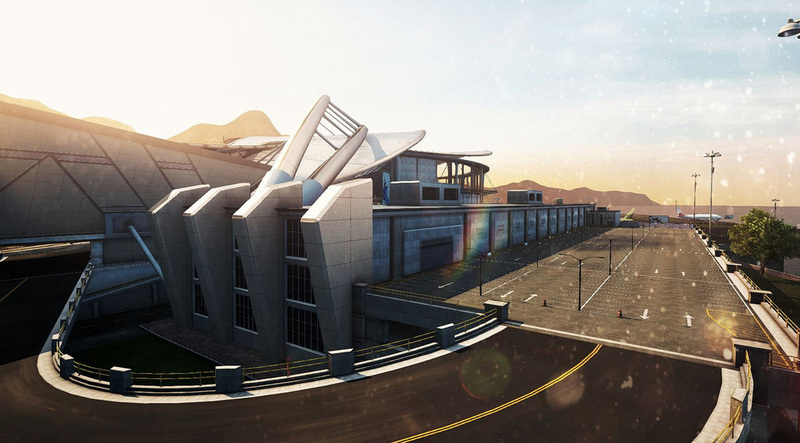 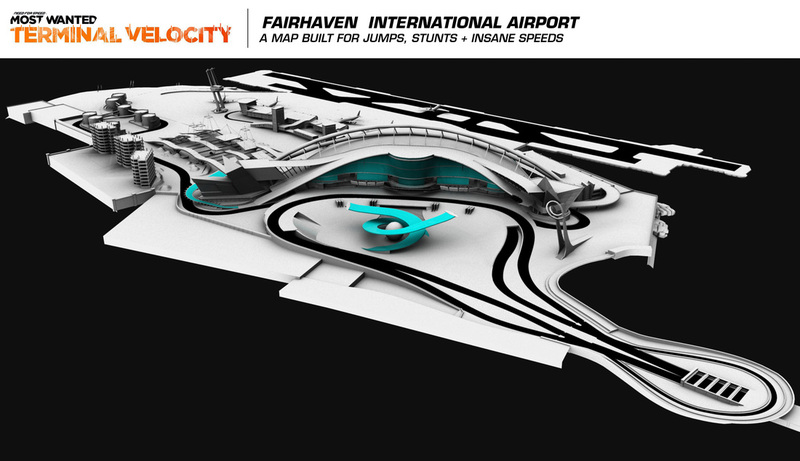 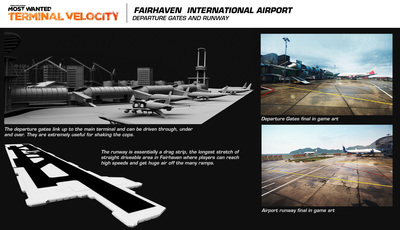 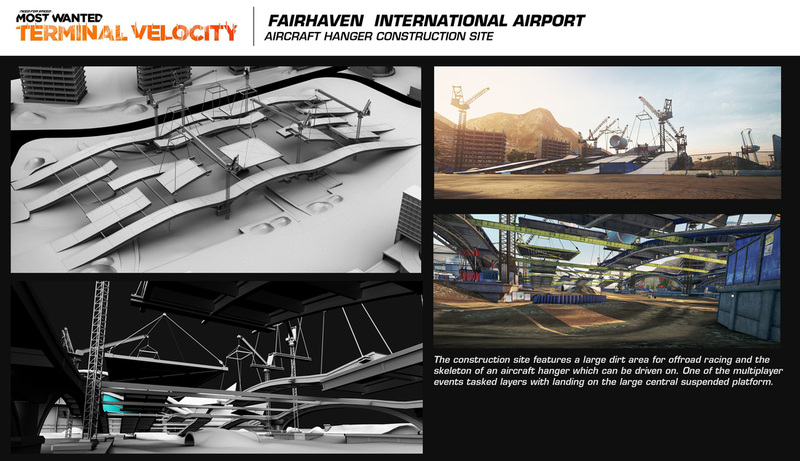 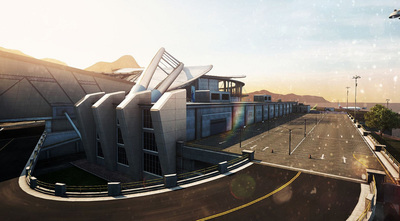 Fairhaven International Airport is a world expansion created as part of Criterion's Most Wanted Terminal Velocity DLC pack. 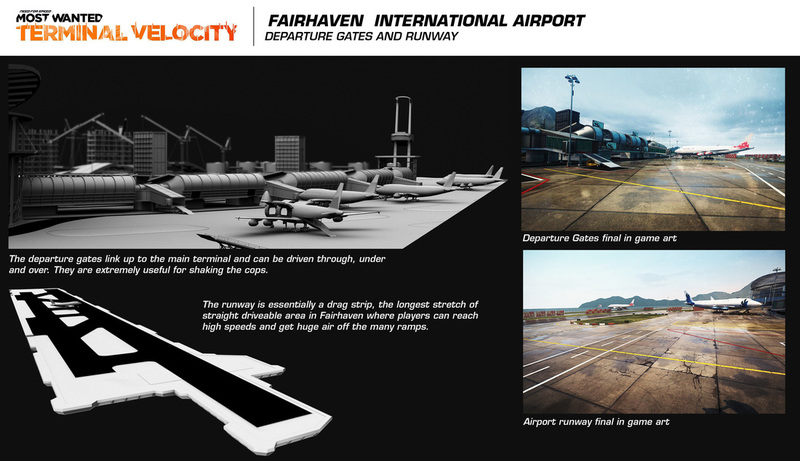 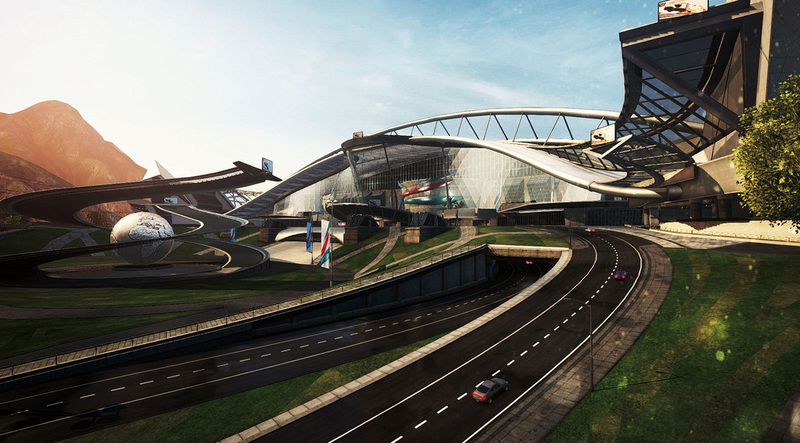 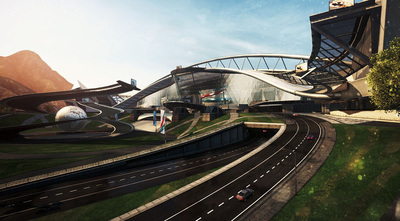 The map was designed to feel like no other area of Fairhaven, one which would allow players the opportunity to push their vehicles to extreme limits and offer exciting new single and multiplayer gameplay. 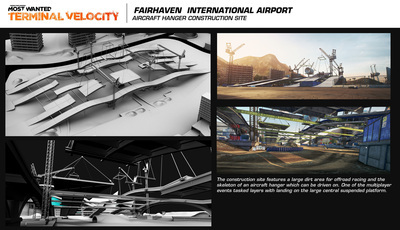 I was one of two world designers who built the whitebox airport and gameplay.